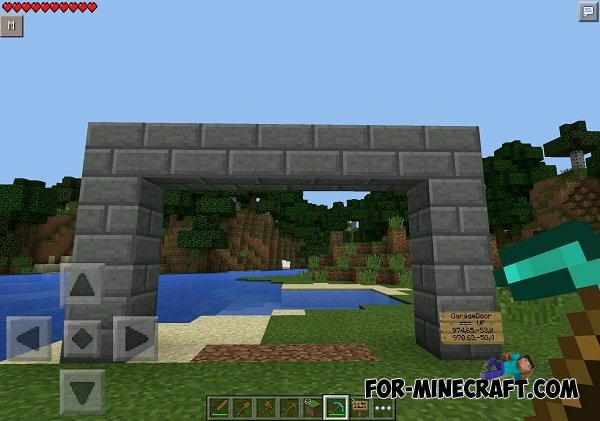 Super Door Operator 2000 Mod will add an automatic door system in Minecraft Pocket Edition, which can be opened and closed in stand-alone mode. Through the use of four simple tools, you can create automated manholes, overhead doors and many different doors. For example, you can use the automatic door system in his garage (your door can be the size of 3x10 or 3x15 - generally what door you wish but not more than three blocks !!!). First make a structure. Height of automated door is now limited to three blocks but the width is not limited. 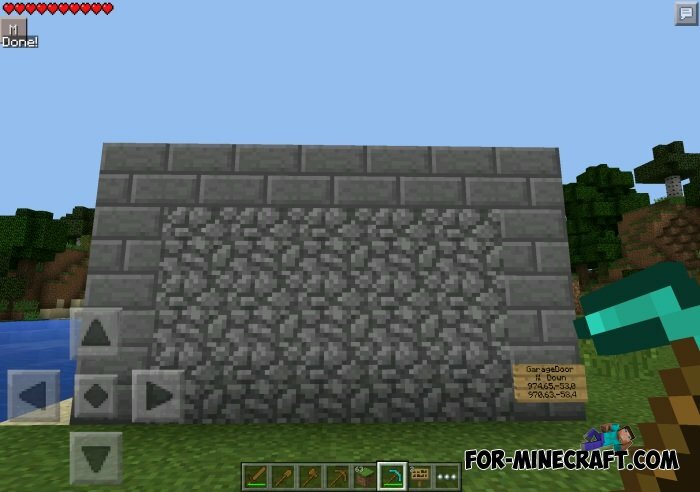 Pick up the wooden sword and click on the upper left corner of the garage door, to set the first position. Then click on the bottom right corner of the garage door, to set the second position. Place a a sign at the door of the garage and call it "GarageDoor" or any other desired name. Tap on the sign with wooden sword, to set the position of the door. To raise the garage door, click on the plate using an empty slot, and you will see how the door opens. Press it again to close the garage door. 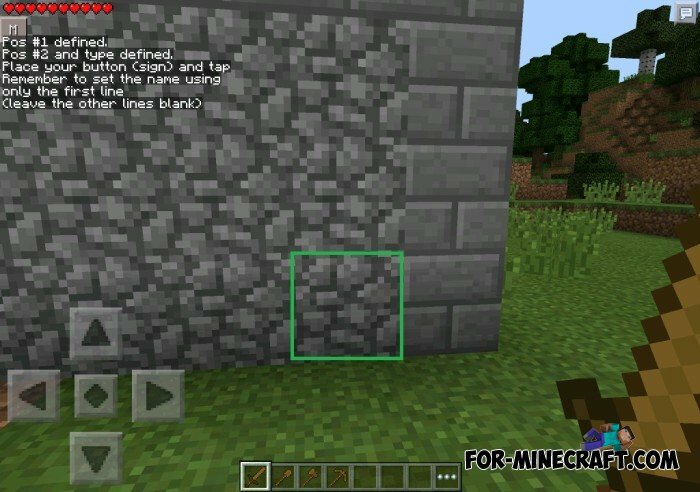 The mod adds four tools for creating an automatic door. Wooden sign: Function - Data Storage, presses the plate to open / close the automatic door. 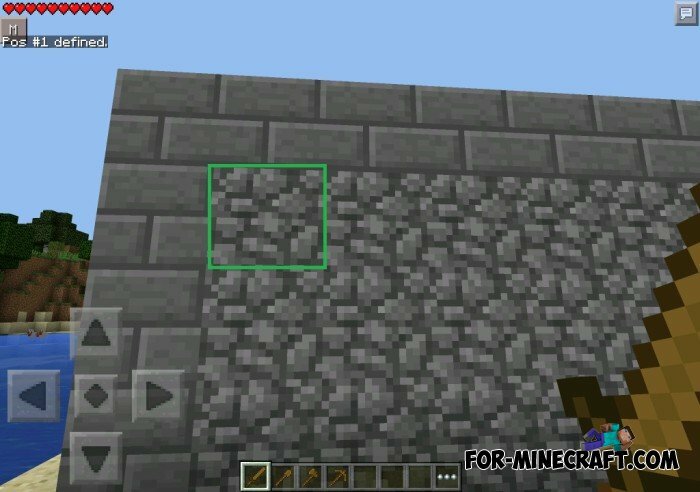 Unreal Geometry map for MCPE 0.10.5This map will make you think, "I do not freak? ".